I know that I’m in the middle of writing my series about what psychic abilities exist, how they’re used and how to develop your psychic powers. However, I want to take a break and discuss the free psychic test that is available on the home page of Psychic Smarts™. 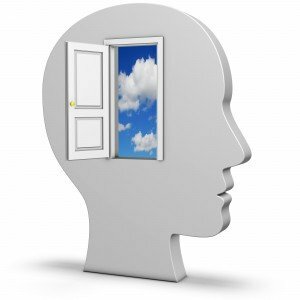 Psychic Smarts™ is offering the first two levels of our psychic test for free. The test not only reveals your psychic ability at the time of taking the test, but it also helps you to develop psychic abilities at the same time. The psychic test that comes with three other discs when you purchase Psychic Smarts™ is actually a four level psychic game on a CD ROM. The first level of the test challenges players to determine which of two rectangles a matching symbol is under. You’ll have ten tests within each level and if you get a certain number of correct matches, you are encouraged to go to the next level. 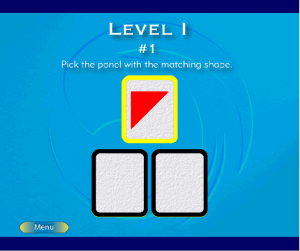 In level two, you will have three choices to determine where the matching symbol is hidden, level three, four choices and finally, level five has five possible rectangles under which the matching symbol is located. The test changes every time you play. So each time, for each level, everything changes, and the game is always different. The first step is to relax, so you can clear your mind and be open to impressions, messages and other psychic input that you welcome. The word ‘welcome’ is the operative word, as we are all bombarded by messages throughout the day, whether they come from advertising, other people, things we read or watch or listen to, or from the psychic world or spirits. So we must block out all of the chatter going on in our mind so that we can just concentrate on the task at hand, which is being able to discern which rectangle the matching symbol is under. As an added benefit, this test increases our ability to concentrate and focus, a definite goal for most people in this attention deficit disorder or distracting world in which we live. 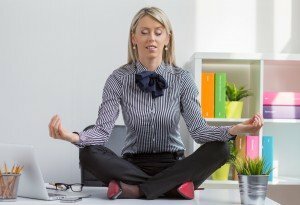 Psychic Smarts™ teaches you how to do progressive relaxation, which helps to calm you physically and emotionally so that you can enter into a meditative state of consciousness, allowing you to ‘hang loose’ and be open to impressions and guidance, yet be aware enough to guide these messages and impressions. That’s the sweet spot or goal of meditation. You want to be in a dreamlike state, but at the same time being able to direct the dream. Once you are in a meditative state, start the game. Experiment with the game. Sometimes go fast and go with the flow. Other times you want to go slow and let the impressions come to you. The psychic test is a great way to determine your ‘psychic style’, and to become aware and practice the best way(s) for you to use your subconscious mind to access the unseen universe. It’s only by trying different approaches that you’ll discover what works best for you. Speaking of which, Psychic Smarts™ offers 35 different techniques to communicate with, program and otherwise guide your subconscious mind. There are three psychic techniques previewed on our home page as well. Try them and see if any appeal to you! Discover what works best for you and go with your strength(s) or the approach that works best for you. ‘Best’ means that you enjoy the process and that it works consistently for you. And don’t forget, practice makes perfect! Practice the test, experiment and see which approach or technique works best for you, and eventually you’ll see the benefits and be able to be more intuitive, focused and in touch with both the seen and unseen world. I hope you’ll take advantage of this free offer and try the psychic test so you can determine and develop your psychic abilities.